In March 2014, Canfei Nesharim announced that I would conclude my current relationship with the organization. This posting attempts to explain how I came to this momentous decision, and what I’m hoping for in the future. It began in trickles, in private thoughts that I thought I could never share. It began with wondering: where do I want to be in ten years? If I continue the way I’m going, will I end up there? It began with wondering if there might be more that I could do, if I had the courage to make a move. And for a time, those thoughts remained so secret I was embarrassed even to say them out loud. After all, I’m a young Jewish leader. What do young Jewish leaders do? Clearly, as I’ve been taught, they start organizations and lead them. Leaving might mean "failure." It might seem like quitting. At first, I wondered if I would ever be able to hold my head high inside a Federation building or synagogue again. And it’s not as though my work as a Jewish innovator hasn’t been a great privilege and a gift. In the last decade I’ve had the opportunity to set the agenda for a small organization and use that platform to make a big wave of difference. Materials I’ve created or edited have reached tens of thousands of people. I’ve spoken in front of many hundreds. I’ve trained dozens of young interns. I’ve had young Jewish environmentalists see me at a conference and be awed into shyness because I’m one of their heroes. (I couldn’t believe it when it happened.) I’ve had the opportunity to interact with the leaders of my field and help shape the agenda for that field. 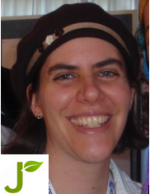 Most importantly, I’ve had the opportunity to raise consciousness about environmental sustainability, a topic I genuinely feel is the most critical challenge of our time, and to learn and teach a wide range of Jewish texts and commentaries about it – in an eleven year journey that has made a meaningful contribution to the Jewish community. There is no off-ramp from that kind of work, or so it seems. Where is the Jewish program to teach young leaders when and how to exit, as if this too is a matter of leadership and innovation? Why would a person even want to step away from such an opportunity? And yet the voice in my head started talking a bit louder. When I thought about my life, there were other things I still wanted to do, yet undone. Other identities to explore, in what could be a still-long career. I didn’t want to be here in ten years or twenty. And I feared if I didn’t stop now, I might be. I began to wonder about the true meaning of leadership: if it might include knowing when it’s time to go. I told my board president I was ready to conclude my term as director of Canfei Nesharim. We began the process of planning a transition. And it wasn’t long after that, miraculously, other dreams began to emerge. Thank G-d, I discovered soon after my decision that I’m pregnant and due (G-d willing!) at the end of June. I still don’t know exactly where I will go, or who I will be next. I’ve always said that I would complete this journey with a crazy mishmash of skills and attributes, but they can be narrowed down: to project management, team leadership, writing, public speaking, website building. Jewish learning. Strong vision and clear values. My commitment to building a sustainable world. At least that’s a start on a curriculum vitae. I'm so very grateful to the people who want to continue the work I've begun with Canfei Nesharim and Jewcology in the years to come. It's a reminder to me that I don't have to do everything by myself. Which is a good thing, because building a sustainable world is certainly going to take a village. I hope I'll get to be a meaningful part of it. I’m proud that I started this journey, and proud that I’ve had the courage to complete it cleanly, with open eyes and without regret. And to all my friends, colleagues and partners, I wish you blessing and hope our paths with cross many more times in many years to come. I wish you success in all that you do. I wish that together, wherever we go, we will be a part of the great turning of this world toward integrity, responsibility and sustainability. I look forward to seeing you in that journey, whatever hat I’ll be wearing.